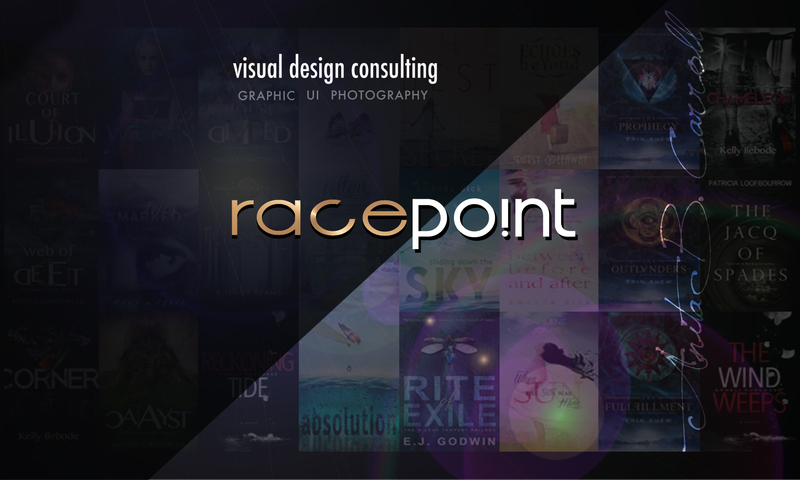 Established by the creative hands of Norwegian born Anita B. Carroll, Race Point is an internet based Visual Design Consulting provider specializing in digital manipulation design and commercial photography with over 19 years of creative professional experience, and produces high-end quality graphic design creations for both print and online mediums. Supporting Publishers and the Self Publishing Author/Indie Writer community with all their graphic, brand and identity design needs, and offers a FRESH take on Book Cover Design, with the targeted audience in mind. Anita often uses her own original artwork and photography, to help ensure the uniqueness of each novel. “Working with a portfolio of respected global clients and brands, I help establish, polish or reinvent early stage or mature businesses branding with innovative graphic design specialties. As a digital manipulation artist, I love pushing the boundaries of design that goes hand in hand with your story telling. I don’t chase trends or follow crowds, and am guided by passion and love for clean, elegant and minimal design. My calling card is quality insightful design creations that aim for the heart to achieve real results, and memorable imagery for my clients that authentically resonates with their brand and a global audience. When relocating to New England in the Greater Boston Area with my husband, for over 15 years ago (after having worked as a visual design professional in Silicon Valley—California for Fortune 500 companies for over 5 years, where I focused on Web User Interface Design, usability and branding principles,) I formed what is known today as the visual design consulting services business, Race Point. One day, serendipitous, my passion for creating art fatefully intersected with my love for reading. Each book has its own unique story and I believe the author should be involved in the creative cover design process.” —Anita C.
In her free time, she enjoys traveling and exploring what Mother Nature has to offer with her family. Growing up in Norway made her a true lover of nature. Anita also enjoys reading, interior design, renovating her 1882 Victorian home, and photography. She can often be spotted at one of the US Cape beaches, biking one of the National Seashore trails, or photographing the gorgeous coastline as well as capturing special moments through the lens for families of all sizes. You can easily connect with Anita on Facebook (http://www.facebook.com/RacePointUS) and Twitter (@RacePointUS). Anita enjoys connecting with authors and publishers of any genre, so please feel free to contact her directly at: anita@race-point.com with any cover design questions and/or needs. Anita — A belated thank you for following my blog, The Smell of Gunsmoke. You do beautiful work! A great blog you have…! Looking forward a great thing from you..!